You’ll definitely see plenty of trees causing problems for you in most Golden Tee courses. Here are some tips for shooting over, under, around, and through them! The Look Up button in Golden Tee becomes very important when you are close to trees. You may not see a branch hanging down in front of you unless you look up, but you sure can hit that branch even if you don’t see it at first! A tip I always use is to make sure you always look up to see if any tree branches are blocking your way on your shot. If so, hit under or around the branches! Yes, you’ll get to try this sometimes in Golden Tee too! If there’s a forest of tall trees in front of you, but the branches don’t hang low and you see an opening between trunks, a good tip might be to shoot through them! Remember, the direction you shoot the ball forward is the direction the ball starts traveling in, so regardless of the backswing, always follow through towards the gap you’re trying to get through. You’ll be doing a lot of this during the course of a round in Golden Tee. The best tip is to make use of the Two-Step Shot Types in the “Using the track ball” section to plan our your best angle around trees. 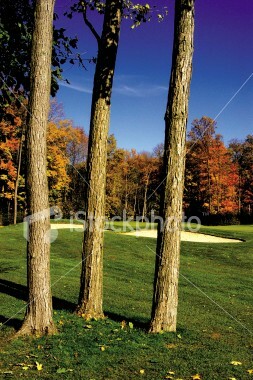 Sometimes the green is right in front of you, but you have a pesky tree hanging down that would disrupt your chip shot. In this case, the best tip may be to try a punch-and-run with a low-iron or wood. You don’t come across these situations in Golden Tee often, so it’s hard to know how hard to hit that low iron. Take your best guess and punch it low under the tree! 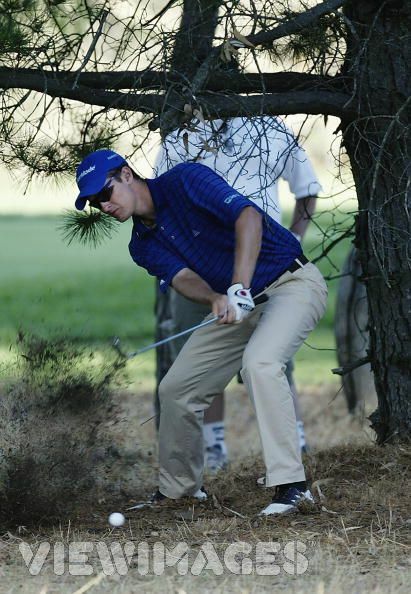 You’ll need some distance between you and the tree, and you’ll need a club that gets the ball in the air to clear it! Knowing how high a given club in Golden Tee will hit the ball takes some trial and error, but practice will help you get the feel. If you’re unsure whether or not you can clear a treetop, hit around it, but also know that you’ll always be curious until you actually give it a try! Many holes are reachable in one less stroke because you can clear a tree that might seem too high. A good tip is to try to let your buddy hit first to see if he clears it!